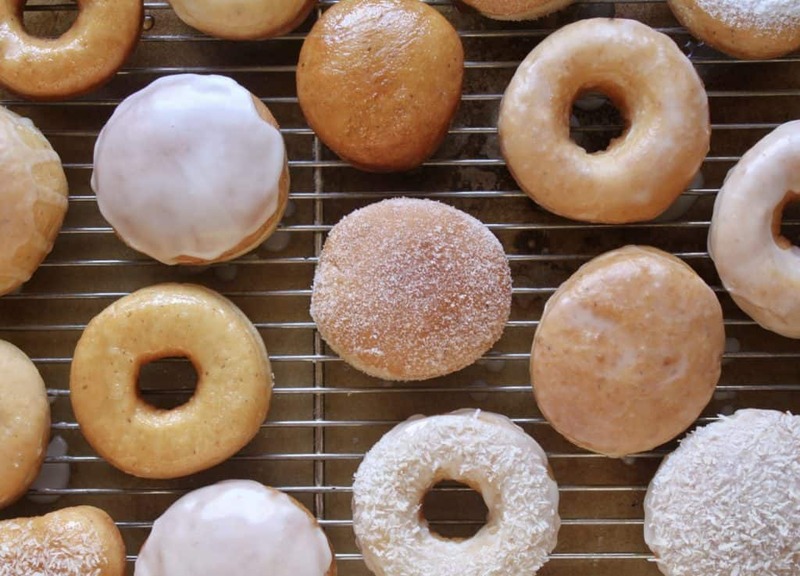 Perfect vegan doughnuts are attainable! After perfecting regular doughnuts, the recipe can now be made vegan! No one will believe they’re truly egg free and dairy free! Perfect yeast doughnuts (original recipe). I cannot tell you how many times the photo above has been stolen online. 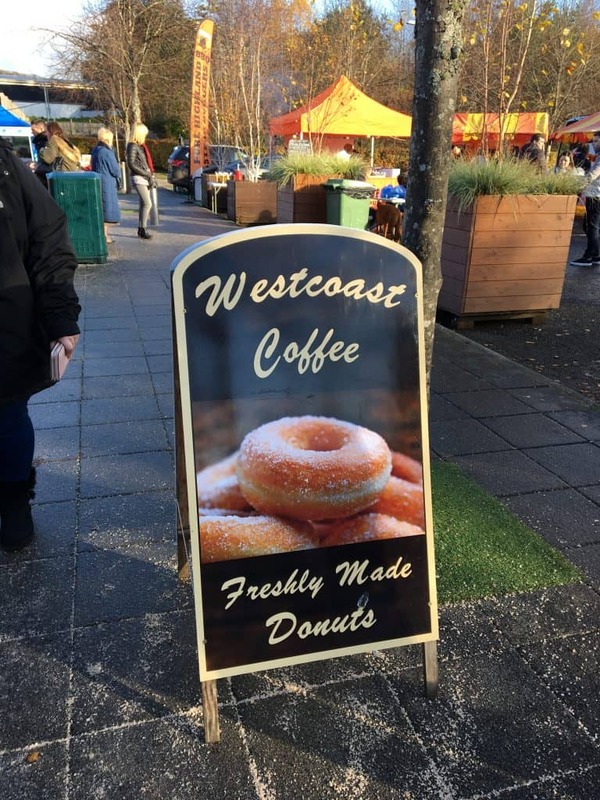 In fact, I flew to Scotland a few years ago and discovered that someone was using it on a sandwich board to promote their business (without as much as asking my permission)! I was livid; mostly because he was very rude and didn’t even apologize. Anyway, the reason I’m telling you this is because doughnut recipe is popular for a reason: the doughnuts turn out perfectly! I’ve had rave reviews from all over the world (you can read the comments here). It’s not my recipe, but one I adapted from a bread baking book, so I’m not the one to take credit for the recipe. 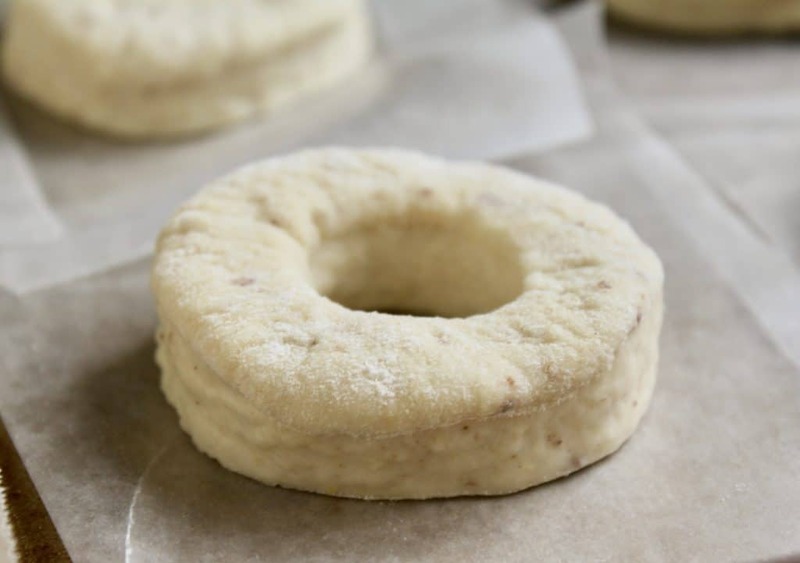 I also can’t take credit for “veganizing” the recipe because it was comments left from two of my readers, Jen and Nicole, telling me they’d made my Perfect Yeast Doughnuts in vegan form and they were amazed at the results. Thank you, ladies! Another reader named Laura told me her children were allergic to eggs and dairy, so I’ve had it in the back of my mind to try and make the vegan version for quite some time. I’ve made the Perfect Vegan Doughnuts twice now and they are incredible. My dad raved about them saying he thinks they’re even better than the original! If you knew my dad, you’d realize that this means the doughnuts are crazy good! I also would never share a vegan recipe if it meant that the flavor/taste was compromised by having to substitute ingredients. 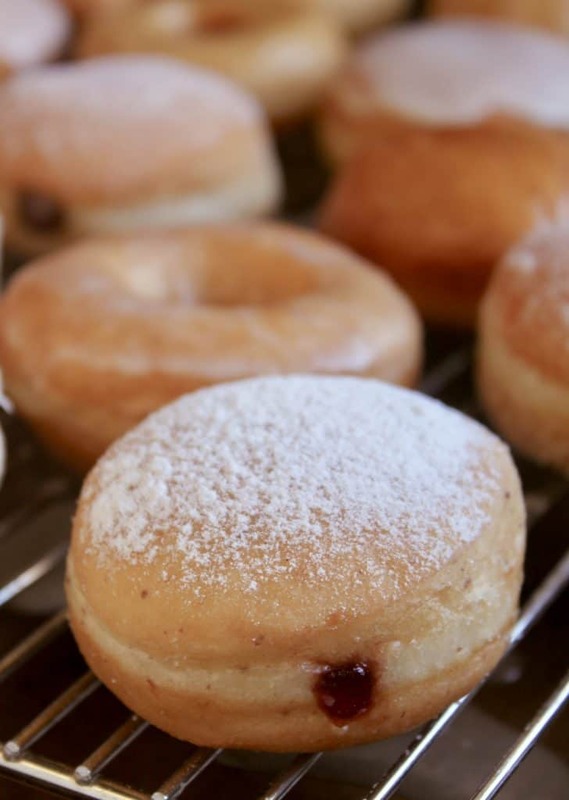 So here is the recipe for the Perfect Vegan Doughnuts, with a printable recipe below. If you make them, please let me know what you think! 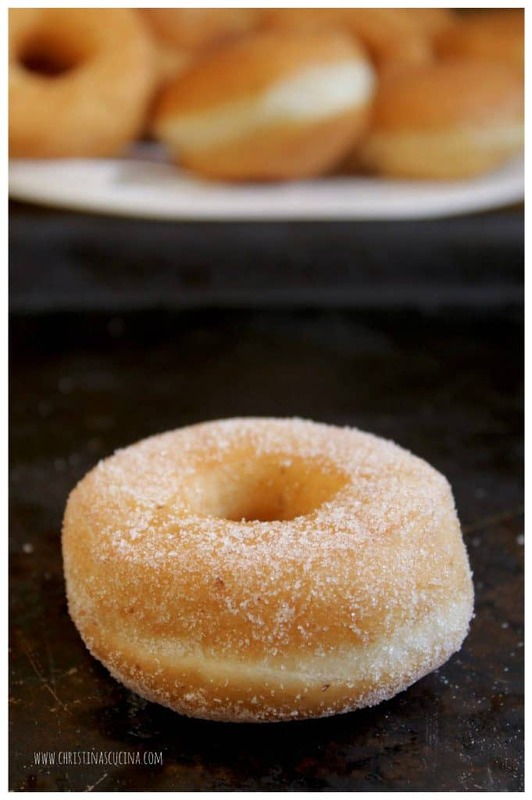 Adapted from this recipe for Perfect Yeast Doughnuts. The measurements are critical in this recipe, so a scale is necessary. (This is why there are no cup measurements-please do not ask for them.) The ONLY way to obtain the correct amount of flour is by weighing it. 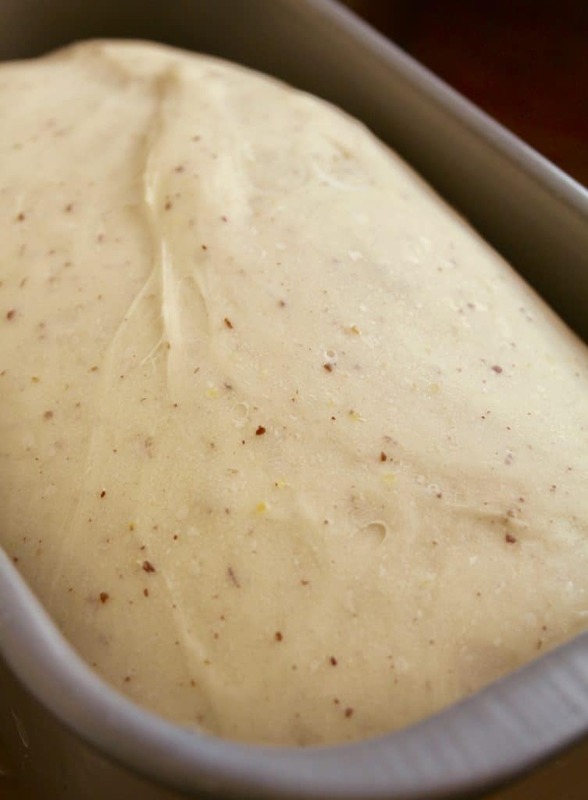 Make the dough in a bread machine (or by hand). 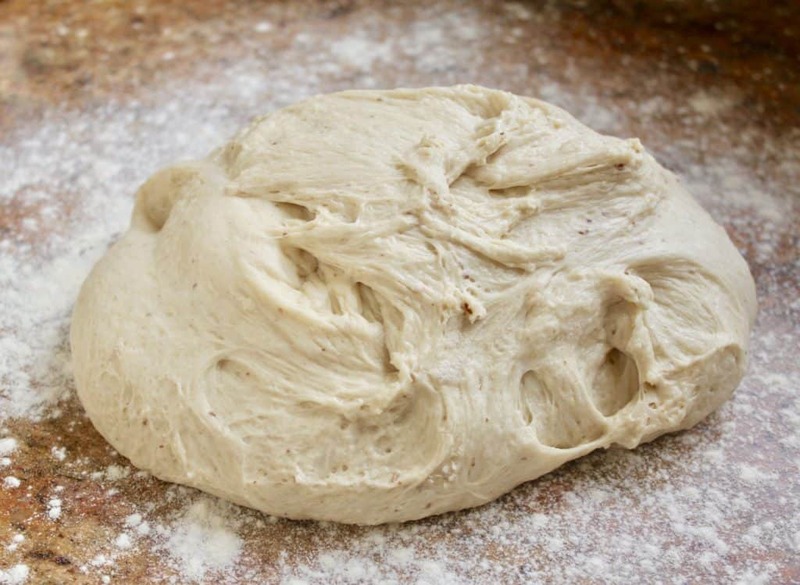 Knead the dough when doubled, roll out and cut doughnuts. Place on paper sheets on tray. The perfect vegan doughnuts won’t look quite perfect yet. Heat oil and begin frying the doughnuts. Remove and place on paper towel. This is when they start to look perfect! Fill, coat, dip or dust doughnuts. Yes, they really are this light and fluffy! 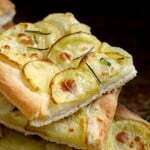 Don’t miss another recipe or travel post, sign up for my free subscription below. 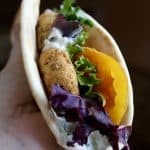 I’m not vegan, but have plenty of vegan recipes for you to peruse. 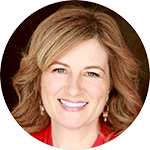 All tried, tested and true (most have been passed down within my family) – just click here VEGAN RECIPES. Perfect vegan doughnuts are super light and fluffy! No one will ever know they're vegan. Mix the aquafaba with the ground flaxseed in a small bowl. 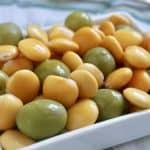 Place the water, coconut milk, aquafaba mixture, and melted coconut oil in the bread machine pan or stand mixer bowl, then add the dry ingredients, except for the yeast. Make a small indentation in the dry ingredients, then add the yeast. Set the bread machine on the ‘dough’ setting. Remove when dough has doubled in size. Place the dry ingredients in a bowl. 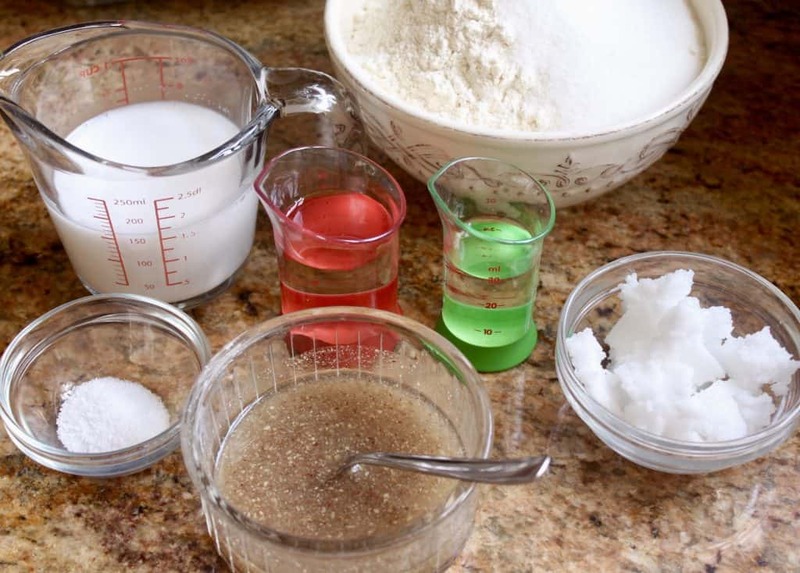 Put 6 tbsp of lukewarm water in a cup and sprinkle the yeast on top, set aside for about 5 minutes, until the yeast begins to react (you can add a pinch of sugar to help it). Make a well in the center of the dry ingredients, then pour in the water, coconut milk, aquafaba mixture, coconut oil and yeast mixture. 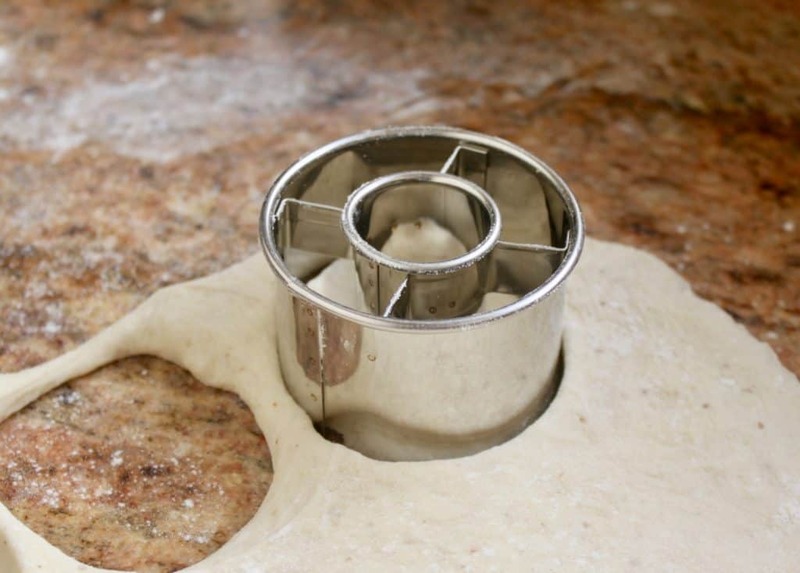 If using a stand mixer, run with the dough hook until a dough forms then continue for about 5 minutes. By hand, knead for about 10 minutes. Cover and set aside until at least doubled in size. Cut with a round, sharp doughnut cutter (about 3″ diameter). 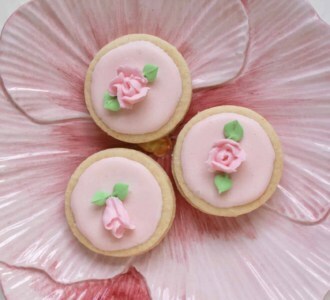 Or else use a sharp cookie cutter, then make the holes with a smaller cookie cutter (about 1″ diameter), saving the holes. I recommend this cutter. 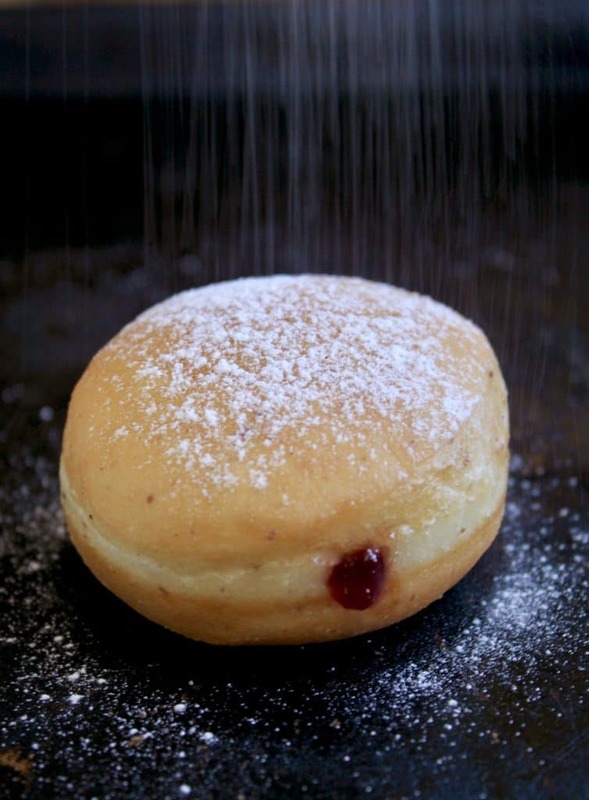 For jelly filled doughnuts: roll each piece of dough into a smooth ball, and place on parchment or waxed paper pieces and place on a cookie sheet; place in the oven with the other doughnuts and holes. 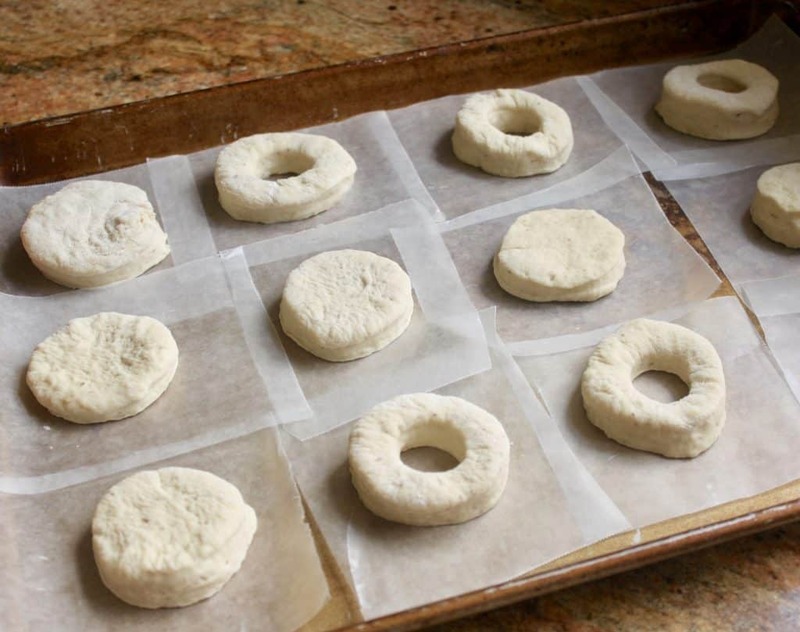 Place each doughnut on a piece of parchment paper, then place on a cookie sheet. Put the trayin the oven The oven warming step should not be necessary in the summer unless your a/c is very cool. Next, boil some water and pour it into a measuring jug or bowl. 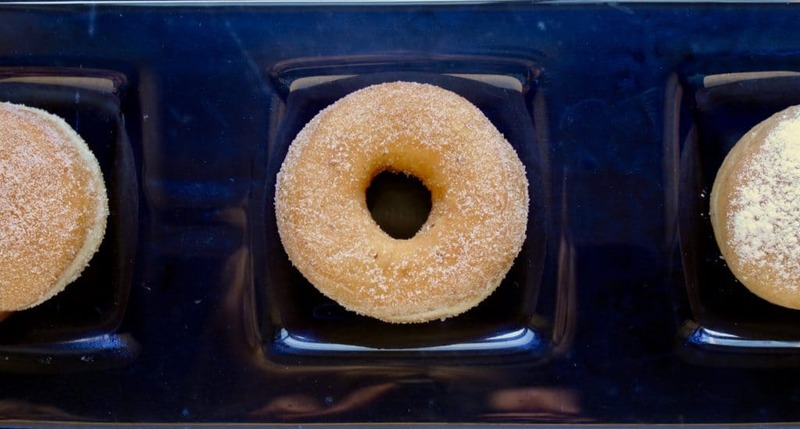 Place the jug of water in the oven with the tray of doughnuts (this will create steam will keep a skin from forming). Heat the oil to about 350ºF (180º). 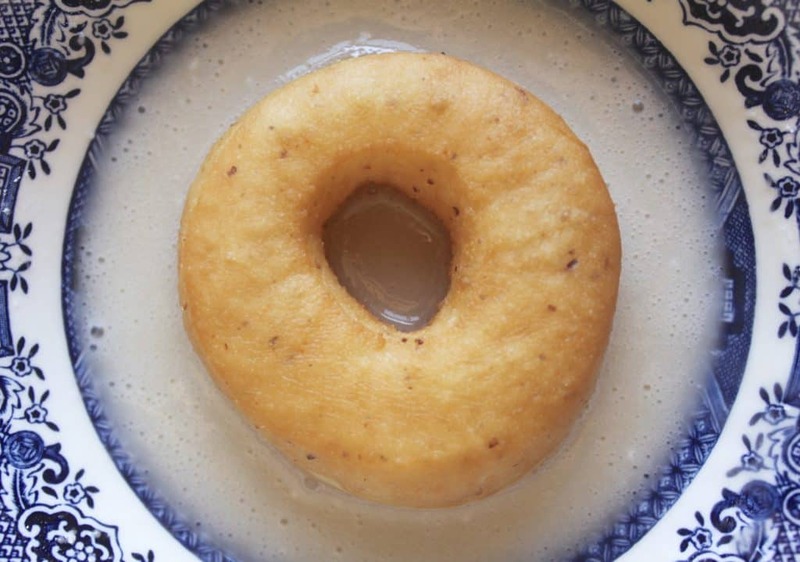 If you don’t have a thermometer, test the oil with a doughnut hole. If it doesn’t start frying (bubbling) immediately, the oil is too cold, if the hole turns brown right away, the oil is too hot. Adjust the heat accordingly. 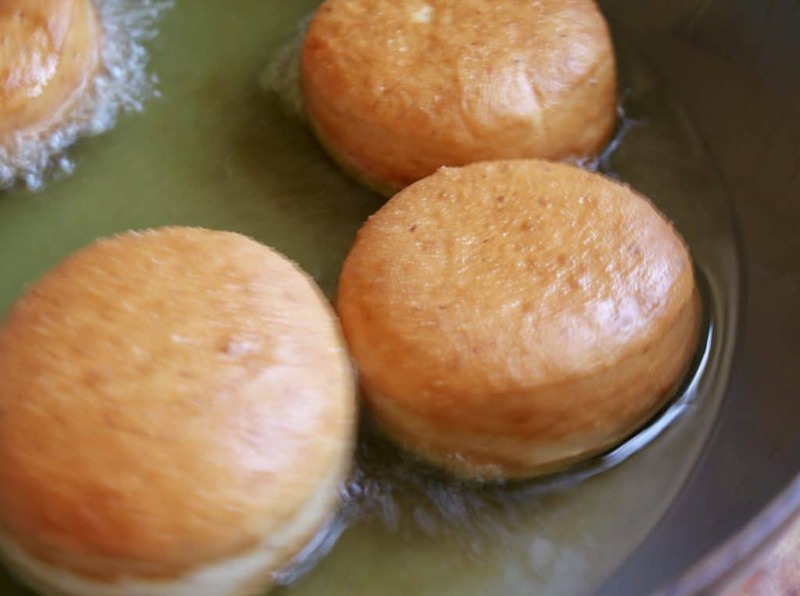 Drop the yeast doughnuts into the hot oil using the paper to carefully lower them into the oil. Turn them over as soon as they become golden brown on the underside, then remove and place on a paper towel lined plate once they are ready. When the doughnuts have cooled, roll them in sugar to coat evenly. 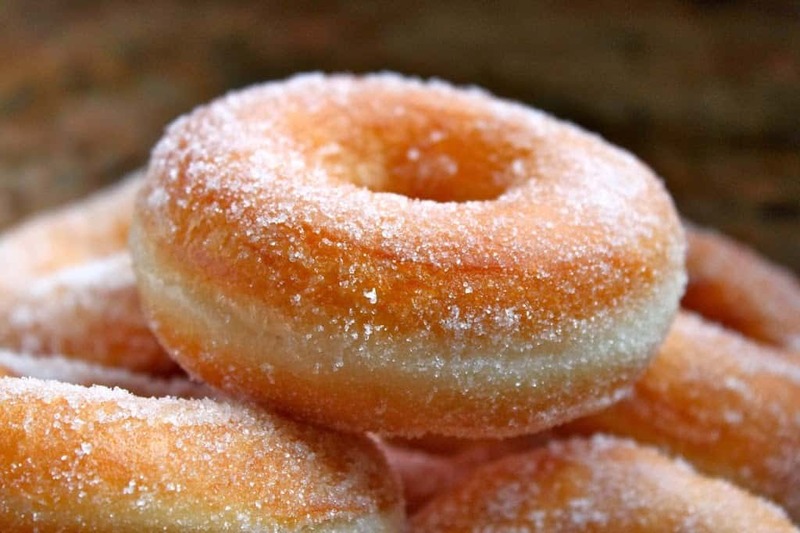 For glazed doughnuts, just put some powdered (confectioner’s) sugar in a bowl and add a little bit of milk or water. 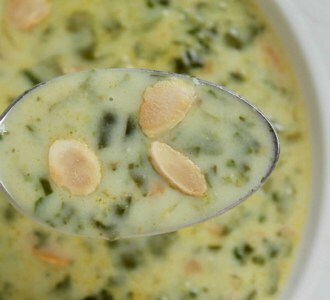 Stir and keep adding liquid until you reach a smooth, slightly runny consistency. 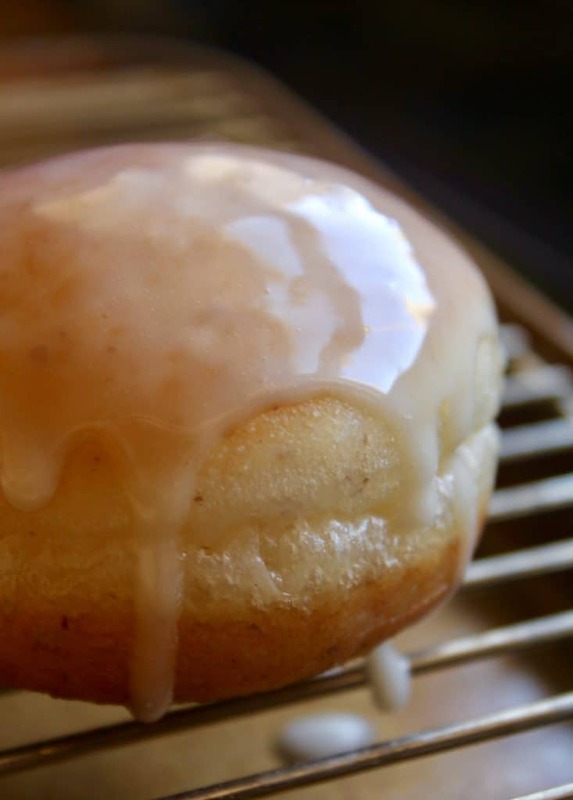 You want the glaze to run off the doughnuts when you’ve dipped them. Dip one and place it on a cooling rack to set. 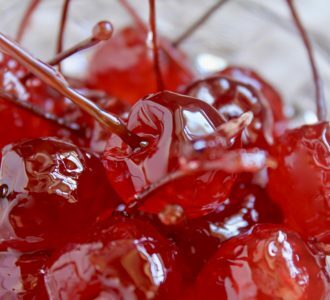 If all the glaze runs off, add more sugar, and if it’s too thick, add more liquid. No measuring needed. 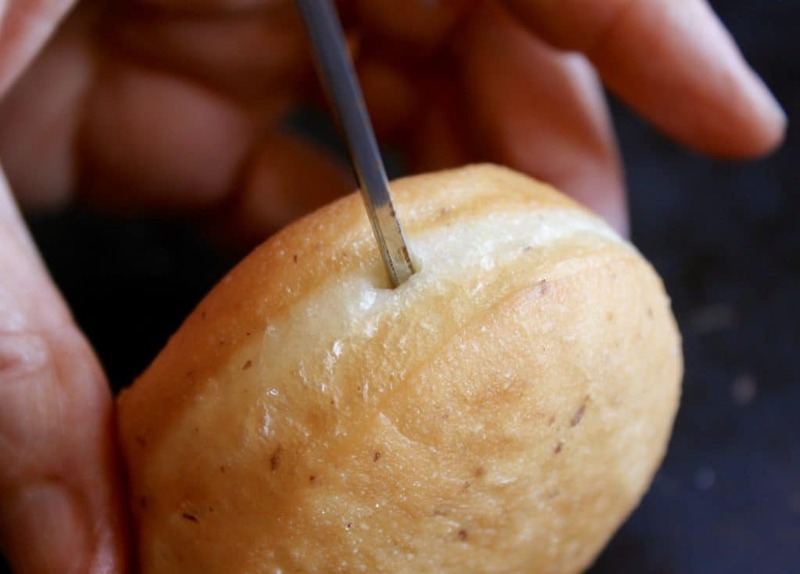 If you choose to fill the large yeast doughnuts, push a skewer into the center of the doughnut to make a hole. Next, put some room temperature jam, or slightly warmed chocolate hazelnut spread (I’ve gone off Nutella since they’re using tons of palm oil) into a piping bag and pipe the filling into the doughnut. I do not specify a time on the dough rising because there are too many factors that will determine the length of time. 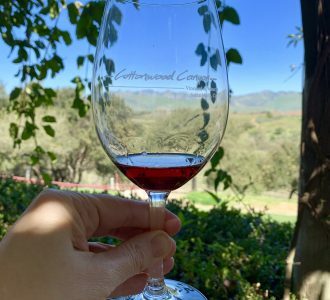 Which yeast was used (regular or quick rise), if the yeast was fresh or old (older yeast doesn’t work as well, or sometimes not at all), and the temperature of your kitchen. a sharp doughnut cutter (a reader asked what I recommend, and I like this one as there is no guessing where the center of the doughnut is–perfect doughnuts every time). Just a question in the oven warming process? What is that? 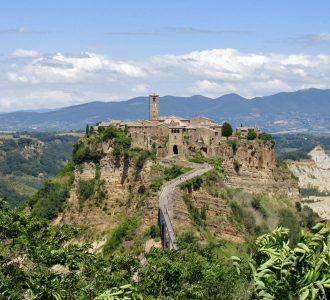 Hi Ambra, just turn on the oven at any temperature, keep it on for 1 minute then turn it off. Just to give a little warmth to the oven to help the dough rise if it’s really cold in your kitchen. Not necessary in summer temps. Hello! Wondering if another non dairy milk would work (pea protein milk?) And also whether spelt flour would be a possibility or even gf flour? So keen to find a donut recipe my son and I can eat and this one looks amazing! I was wondering whether it would work to refrigerate the dough (presumably after rising) so that they could be made say early in the day to be fried fresh for an event in the night. I know I’ve done similar with some bread doughs and other stuff but baking can be a fickle art at times. It actually should work, Luke, but like you said, it does depend on the recipe. I haven’t done this myself, but I would give it a go. Let me know if you try. :) Good luck! First time on your blog and looks really nice. I was halfway through making these when I realized that your instructions change for breadmaker vs stand mixer. My bad. i should have fully read through the blog post before I started. 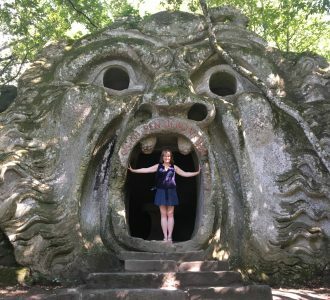 I think you may have changed the design / format of your blog? Or am I missing something. Once reaching the yeast step your instructions say ‘ (see directions in printable recipe below, as steps with the yeast are different) if using a stand mixer,’ … however there’s no print instructions below. And the print button at the top is the exact same as what you have on the blog. Which means a crucial step is missing for these donuts if you’re using a stand mixer. Too late for me, but I thought I’d point that out to you. I’ve already made my dough, and realized I have to add dry yeast to it… and I’ve never done that before… so I think I’ll bloom it in a min amount of liquid before adding it and fingers crossed it works. 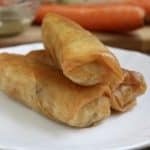 I made these in my air fryer for Sunday morning breakfast. 4 mins at 350. Yum! Thank you! You are such a clever cookie – wish I could say doughnut but that sounds rude, doesn’t it? Just like your regular popular doughnuts, they look picture perfect, Christina. 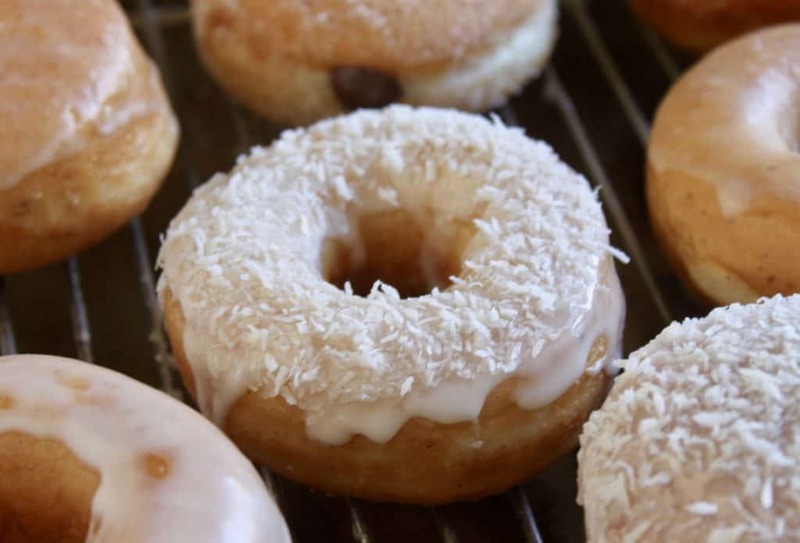 So amazing you were able to create the perfect vegan doughnut recipe! They’re as beautiful as the original version. Just pinned to my vegan board. :-) YUM! I am sorry to hear that you have changed your format and now have to cook a recipe in order to be eligible for a chance to win a mug..hard to believe, I barely cook , but I do enjoy very much reading about all your travels and I do like to read your recipes and apply whatever hints I can to my life…I did make the Scottish Oatcakes..and they came out wonderfully..but anyway, thanks for all the tidbits! I love that you made these vegan! However, I want to try your original recipe first! Yeast-raised doughnuts are my favorite!